Home Politics Nigeria Politics 2019: Which way will S/East go? IT is three days to the 2019 presidential and National Assembly elections and voters in the South-East geopolitical zone are set to join the other five zones in determining who will govern the country for the next four years. With a little above eight million voters in the zone, the South-East is the least among the six geopolitical zones. But besides the number of registered voters in the zone, the people of the South-East also have large voting strengths in other zones, particularly in South-West, North-West and South-South. 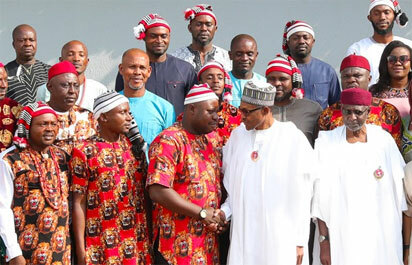 Although there are some Igbo contesting the presidential election, attention is focused on the two major political parties namely: the ruling All Progressives Congress, APC, and the People’s Democratic Party, PDP. In 2015, the South-East overwhelmingly voted for the PDP which then had former President Goodluck Jonathan as its candidate. Since then, a lot had happened and the ruling APC appears to be making inroad in some parts of the zone. With the party controlling Imo State, it uses that state as a launching pad to other states in the zone. But the nomination of the former governor of Anambra State, Mr. Peter Obi, as the vice-presidential candidate of the PDP has pushed up the PDP support base in the zone. Although there was initial misunderstanding among PDP leaders in the zone following the nomination of Obi, the dust has settled and the entire PDP in the zone is presently on the same page. PDP is, therefore, banking on total support of all the PDP governors in the zone. The recent PDP campaigns in Ebonyi and Anambra states are cases in point. Ebonyi has fully come out in support of the PDP presidential candidate, Alhaji Atiku Abubakar and his running mate, Mr. Peter Obi, thus dismissing insinuation few weeks ago that the Ebonyi State governor was supporting the reelection of President Buhari. Campaign materials from the Ebonyi State Radio have gone full blast for the PDP candidates and urging the people not to allow any vote from the state drop for any other political party. Deputy Senate President, Ike Ekweremadu is also on the same page with PDP after initial reluctance. In Anambra State, the recent road show by the PDP running mate, Obi, and other leaders of the party could be described as a huge success going by the mammoth crowd that followed them in all the cities and markets where the campaign train passed through. At Ose Okwodu market in Onitsha, Obi’s presence made the traders to close their shops and join the campaign train. Seeing the crowd in ecstatic mood, Obi said he was happy that the people were buying the message of the preparedness of Atiku to get Nigeria working again. Already, permutations are on as to which political party would carry the day in the South-East on February 16. One thing is clear and that is that with the level of awareness and voter education that had taken place, the turnout of voters will be massive and any party that will win in the zone will do so with a wide margin. Apart from president, those contesting for the Senate, House of Representatives and Houses of Assembly in the zone have been traversing their constituencies to woo voters. Places the South Easterners should watch out for include Anambra Central, where the incumbent, Senator Victor Umeh, will square up with Mrs. Uche Ekwunife who stayed in the Red Chamber briefly before she was sacked by the court. Umeh appears to have an edge because of his performance within the short period he had been in the Senate, coupled with the fact that his party, APGA, is very much on ground in all the wards in the senatorial zone. There is also the Orlu Senatorial Zone in Imo State where the incumbent governor of the state, Owelle Rochas Okorocha is seeking to go to the Red Chamber on the platform of APC. He is contesting against Mr. Osita Izunaso, the candidate of APGA, who had been in the senate before. But the confusion in Orlu zone is that while Okorocha does not want the APC governorship candidate, Senator Hope Uzodinma to win, he wants to be elected on the platform of the party. Another zone people are watching with keen interest is Anambra South, where two brothers, Senator Andy Uba and Chief Chris Uba are fighting each other. Andy is seeking to retain the seat on the platform of APC, while his brother is the candidate of the PDP. For the governorship, Imo is also providing an interesting scenario. Though the outgoing governor, Okorocha is contesting election in APC, he is unapologetically supporting his son in-law, Uche Nwosu, to govern the state on the platform of Action Alliance, AA, after his son in-law failed to secure the ticket of APC. Abia governorship election is also another state to watch as the contest is between the incumbent, Okezie Ikpeazu of PDP and Oti of APGA. Going by the controversy that trailed the 2015 election in the state, more drama is expected to unfold on March 2nd when the two will face each other again. In Anambra, though there will be no governorship election, the seriousness with which Governor Willie Obiano is campaigning for the candidates of the House of Assembly shows how important their success at the poll is to him.